40 Newby Dr, Hampton, VA 23666 (#10249371) :: Abbitt Realty Co. 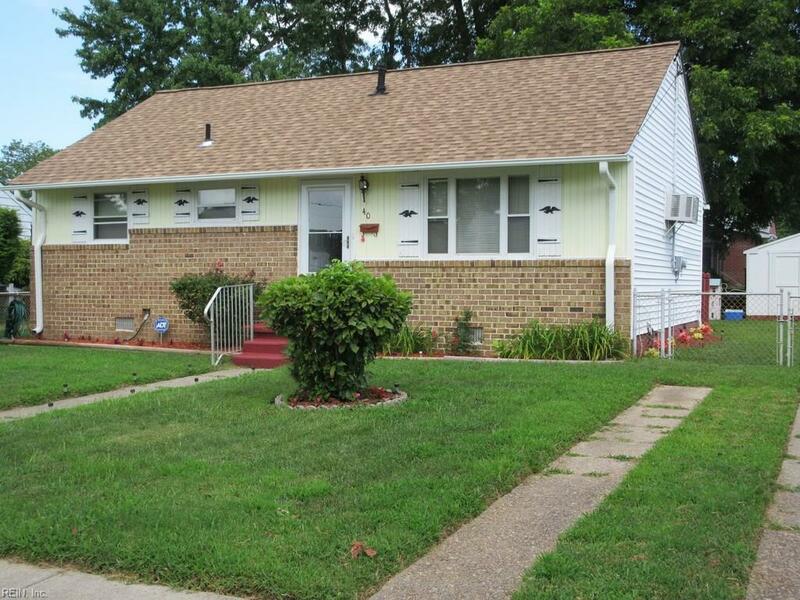 PERFECT OPPORTUNITY FOR YOUR CLIENTS FIRST HOME OR GREAT OPPORTUNITY FOR INVESTOR. HOUSE IS IN GOOD SHAPE AND NEEDS THE BASICS. EASY SWEAT EQUITY. ORIGINAL HARDWOOD FLOORS THROUGHOUT. HVAC SYSTEM INSTALLED IN 2015. FRONT AND BACK YARD FULLY CLEANED OUT ALONG WITH INTERIOR OF HOME. GREAT LOCATION TO AWESOME SHOPPING AND RESTAURANTS!